PASCAGOULA, Miss. 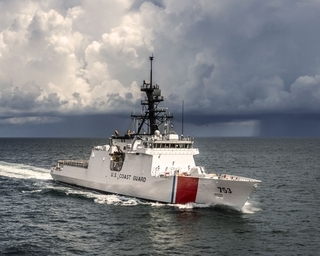 (July 18, 2014) – Huntington Ingalls Industries (NYSE:HII) announced today the successful completion of builder’s sea trials for the company’s fourth U.S. Coast Guard National Security Cutter, Hamilton (WMSL 753). The ship, built by HII’s Ingalls Shipbuilding division, spent three full days at sea testing all of the ship’s systems. While underway, Ingalls’ test and trials team conducted extensive testing of the propulsion, electrical, damage control, anchor handling, small boat operations and combat systems. This culminated in the successful completion of a four-hour, full-power propulsion run. 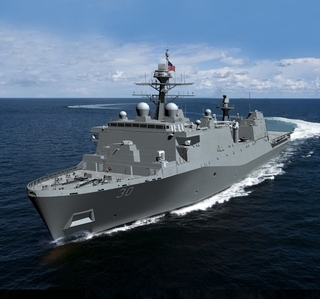 Ingalls has delivered the first three NSCs, and three more are currently under construction. A seventh NSC, Kimball WMSL 756, is scheduled to begin construction in early 2015. 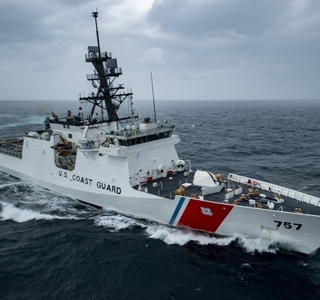 NSCs are capable of meeting all maritime security mission needs required of the High-Endurance Cutter. They include an aft launch and recovery area for two rigid hull inflatable boats and a flight deck to accommodate a range of manned and unmanned rotary-wing aircraft. 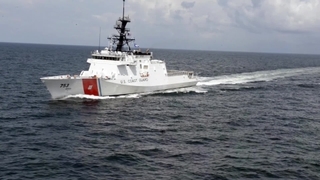 The Legend class is the largest and most technologically advanced class of cutter in the Coast Guard, with robust capabilities for maritime homeland security, law enforcement, marine safety, environmental protection and national defense missions. NSCs play an important role enhancing the Coast Guard’s operational readiness, capacity and effectiveness at a time when the demand for their services has never been greater.